We are pleased to announce the establishment of an interdisciplinary research program in the science of eye transplantation. This unique program in the science of eye transplantation is a joint effort between the Department of Ophthalmology and the Department of Plastic Surgery, and is led by McGowan Institute affiliated faculty member Kia Washington, MD, the director, in coordination with Dr. Sahel. In addition to leveraging the skills and expertise of members of the Departments of Ophthalmology and Plastic Surgery, this innovative program will also include experts in immunology, transplant surgery, the neurosciences, and other related disciplines. The overarching goal of the eye transplant research program is to restore vision following ocular trauma and ischemic or degenerative damage with eye transplantation. This program builds on Dr. Washington’s pioneering work, which has included development of the first orthotopic vascularized eye transplant small animal model. Current program funding is from a multi-million-dollar grant from the Department of Defense Joint Warfighter Medical Research Program awarded to Dr. Washington. This novel research program embodies a comprehensive approach to addressing the challenges of eye transplantation. Dr. Washington has assembled an experienced multi-disciplinary team of scientific leaders, from both within the University of Pittsburgh and around the nation, to drive this exciting research forward. Her partnership with the Department of Ophthalmology and Dr. Sahel will propel this research and accelerate the pace of discovery in this exciting field. 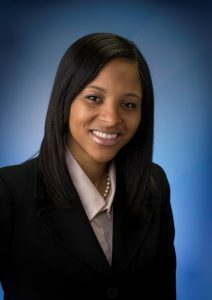 After earning her MD at Duke University School of Medicine, Dr. Washington completed her residency in Plastic and Reconstructive Surgery at the University of Pittsburgh Medical Center. She then completed a fellowship in hand and upper extremity surgery at the University of Pittsburgh as well. Board-certified in Plastic Surgery and Hand Surgery, Dr. Washington started working as an Assistant Professor of Plastic Surgery in 2012. She is currently the Associate Director of Hand Surgery at UPMC, Section Chief of Plastic Surgery at the VA Pittsburgh Healthcare System, and Co-Director of the Vascularized Composite Allotransplantation and Microsurgery Laboratory in the Department of Plastic Surgery.